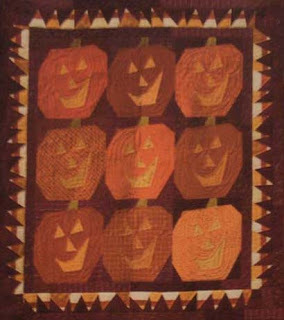 Along with trying to get caught up on the July UFO-Feathered Stars, I will be working on the corn part of the quilt below called Frightfully Crazy. 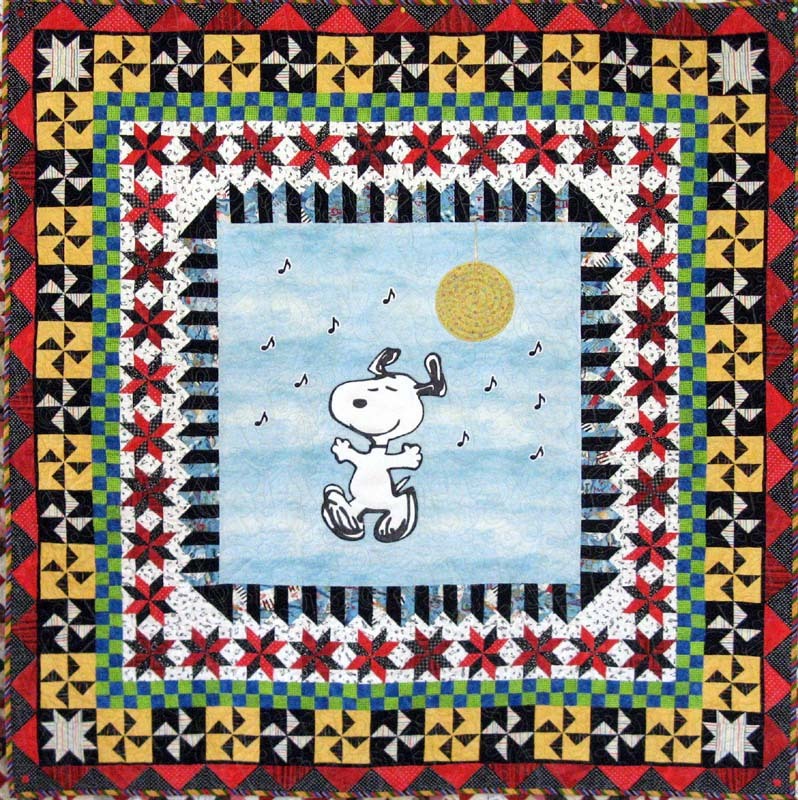 This is a Buggy Barn pattern that Sandi and I are working on as an opportunity quilt for Sunshine Quilt Guild. Sandi had already finished the pumpkins and I will be making the border units this week. Hope to have them finished up by the weekend so that we can put it all together. 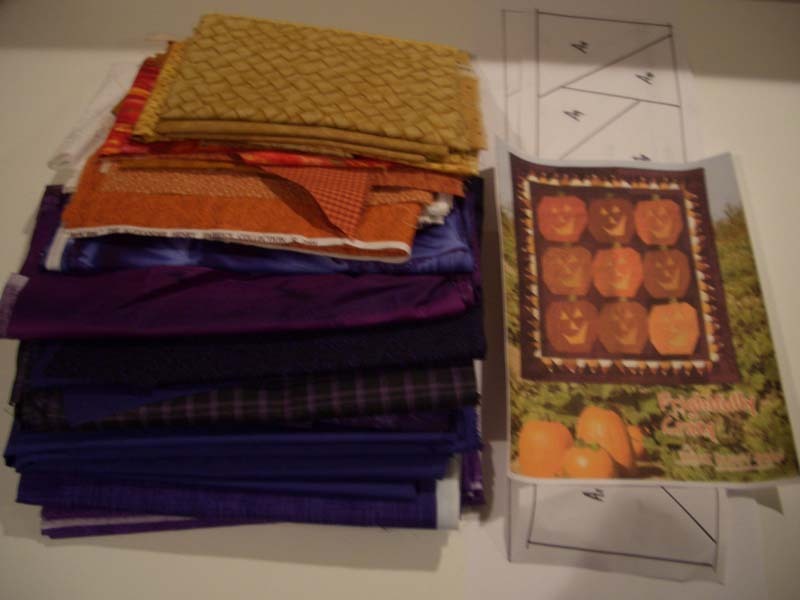 Here are the fabrics that I will be using for the corn. This should be a busy week! See more great projects at Patchwork Times. This week I have a finish! 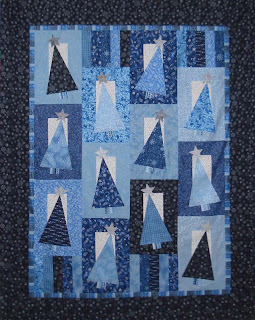 The Blue Trees Quilt, which is also my August UFO, is finished and now in the quilting que. Now, I will get back to the July UFO, which is still waiting for me. I did have a couple of purchases this week- needed a few more blues to finish up the Blue Trees, and also found a great neutral for a future project. All in all the numbers are not too terrible. Net fabric used in 2011:133.25 yards. 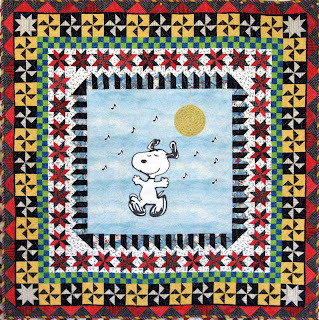 This week Sandi and I finished the quilt for the San Diego Humane Society, and just in time. 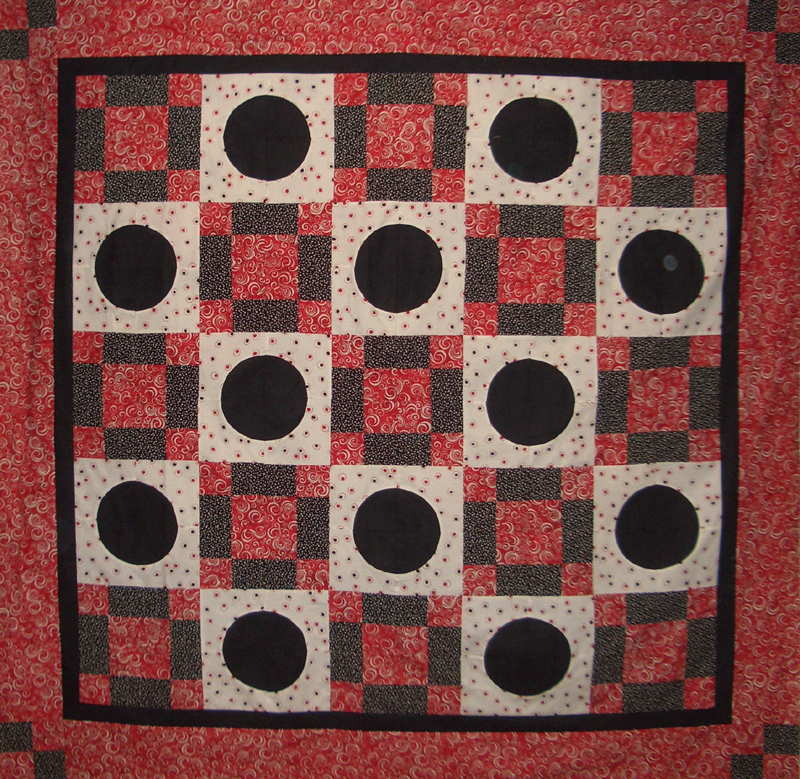 The annual Fur Ball is next weekend and the quilt will be auctioned off as a fund raiser. 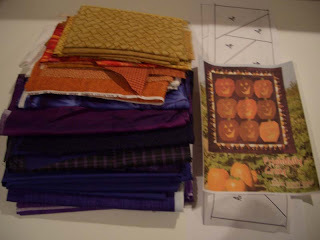 Sandi and I are sharing the fabric usage as we used fabrics from both our stashes for this one. Below is the finished quilt. The theme for this year is Dancing with the Dogs. Check out more pictures over at kwiltnkats. Net fabric used in 2011:124.25 yards. See how everyone else did last week at Patchwork Times. 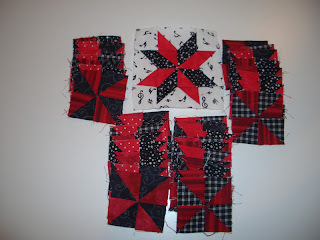 This week I will be helping Sandi to put together the San Diego Humane Society Quilt. Below is the block that I am working on. All the pinwheel centers are finished, just need to do the outer flying geese to finish this up. There are 36 of these blocks and they finish at 4 inches. Yes, very small blocks! 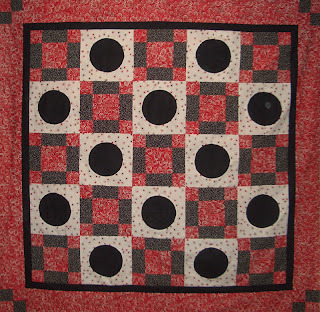 See all the other projects at Patchwork Times.